almost no pages about it on the entire internet! Only some in japanese. I have helped alot to spread eurobeat in the world. Enjoy my page. The mp3s on this page are some of the best of my eurobeat mp3 collection. The links will automatically change once every day. Mail me at contactme at-sign eurobeat.se. All Euromach albums                     	- 1.2 Gbyte - Torrentlink. All Eurobeat Flash albums               	- 1.8 Gbyte - Torrentlink. All That's Eurobeat albums              	- 4.6 Gbyte - Torrentlink. Super Eurobeat 001-049 ALL ALBUMS		- 3.9 Gbyte - Torrentlink. Super Eurobeat 050-099 ALL ALBUMS		- 4.9 Gbyte - Torrentlink. Super Eurobeat 100-129 ALL ALBUMS		- 3.9 Gbyte - Torrentlink. Super Eurobeat 130-160 ALL ALBUMS		- 4.5 Gbyte - Torrentlink. Super Eurobeat 161-195 ALL ALBUMS		- 5.6 Gbyte - Torrentlink. Super Eurobeat 196-215 ALL ALBUMS		- 6.0 Gbyte - Torrentlink. ParaPara Paradise ALL ALBUMS			- 0.5 Gbyte - Torrentlink. Maharaja Night HI-NRG Revolution ALL ALBUMS	- 2.3 Gbyte - Torrentlink. EuroPanic ALL ALBUMS				- 0.4 Gbyte - Torrentlink. 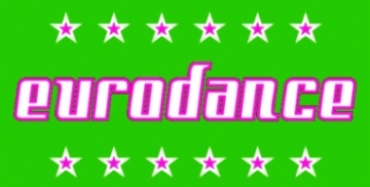 ParaPara (eurobeat) musicvideos			- 9.8 Gbyte - Torrentlink. Euro Adrenaline album 1-12			- 1.1 Gbyte - Torrentlink. Well, I like eurodance also, not only eurobeat.